Terrifyingly authentic, London-set debut crime novel with a psychological edge, by an ex-Met detective. DI Sean Corrigan is not like other detectives. The terrible abuse he suffered in childhood has not stopped him enjoying family life with his wife and two daughters, or pursuing an impressive career with South London's Murder Investigation Unit. Nevertheless, it has left him with an uncanny ability to identify the darkness in others - a darkness he recognises still exists deep within his own psyche and battles to keep buried there. Now Sean's on the trail of the most dangerous killer he has ever encountered. The perpetrator has no recognisable MO, leaves no forensic evidence and his victims have nothing in common. But Sean knows they were all murdered by the same man. Now all he has to do is find the evidence, convince his bosses and stop the killing ...before his adversary gets too close to home. 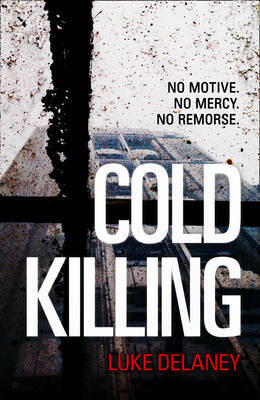 Cold Killing is by Luke Delaney and is due to be published in March 2013. Professor Morley's guide to Norfolk is a story of bygone England; quaint villages, eccentric locals - and murder! It is 1937 and disillusioned Spanish Civil War veteran Stephen Sefton is stony broke. So when he sees a mysterious advertisement for a job where 'intelligence is essential', he applies. Thus begins Sefton's association with Professor Swanton Morley, an omnivorous intellect. Morley's latest project is a history of traditional England, with a guide to every county. They start in Norfolk, but when the vicar of Blakeney is found hanging from his church's bell rope, Morley and Sefton find themselves drawn into a rather more fiendish plot. Did the Reverend really take his own life, or was it - murder? 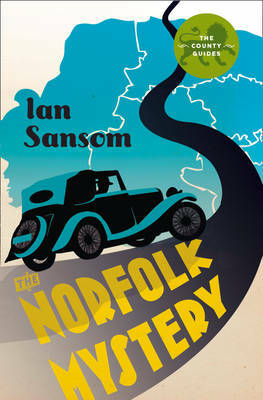 Beginning a thrilling new detective series, 'The Norfolk Mystery' is the first of The County Guides by Ian Sansom and is due to be published in June 2013. 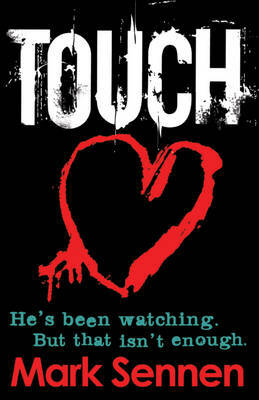 Touch is by Mark Sennen and is due to be published in April 2013. Harry likes pretty things. He likes to look at them. Sometimes that is not enough. He wants to get closer. Naughty Harry. DI Savage and her team in Plymouth are struggling with their investigation into a string of horrific attacks on young women. The victims are being drugged, abducted, assaulted and then abandoned with only a dull memory of what has happened. However, when the mutilated body of one of these women is found on a beach, the case becomes a chilling murder inquiry. Stopping at just one victim will never be enough ...not for this killer. Part thriller, part police procedural, Touch will take you deep into the madness of a serial killer's mind. 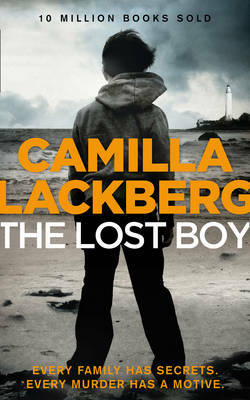 The Lost Boy is the seventh book in the Patrik Hedstrom and Erika Falck series by Camilla Lackberg and is due to be published in March 2013. On a late summer's night, a young woman jumps in her car, her hands slippery with blood on the steering wheel. Taking her five-year-old son, Nathalie flees to the only safe haven she knows: the island of Graskar off the coast of Fjallbacka...Meanwhile, Detective Patrik Hedstrom has barely stepped foot inside his office following a lengthy sick leave before he catches a murder investigation. A man has been murdered in his home: the victim, Mats Sverin, was the council's financial director, heading up a regeneration project worth millions. But when Patrik and his team start digging into the dead man's life, all they can uncover is unanswered questions. Why was Mats in such a rush to return to his home town of Fjallbacka after years in Gothenburg? And is it pure coincidence that Mats's childhood sweetheart Nathalie has also suddenly returned to the area? Mats visited Nathalie on Graskar before his death. The locals call the island 'The Ghost Isle' - they say that it is haunted, and that the dead have something to tell the living. But will anyone get close enough to uncover the dark secrets that lurk there? He's posted on your wall. He's following you on Twitter. He knows where you are right now...When Amy receives an email from her older sister, Becky, announcing that she's off travelling and "don't try to find me", she is worried. Becky would never do such a thing on a whim. Amy - who is recovering from an abusive relationship that has left her terrified of love - soon finds that Becky had started using online dating sites. Aided by Becky's neighbour, Gary, Amy sets about tracking down the men her sister had dated, following a trail that leads her into the darkly seductive world of internet hook-ups. But Amy is unaware that a sadistic killer is watching - a killer who's been using the internet to stalk, torture and kill. Now he's got something very special planned for Amy and she is about to find out that romance really is dead. 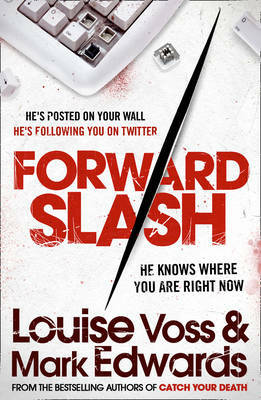 Slash Forward is by Louise Voss and Mark Edwards and is due to be published in July 2013. As teenagers, Maggie Donaldson and Johnny Taylor fell hard and fast in love. But they did not know they were from rival gangland families in London's criminal underworld. Going public with their relationship would have brought them more trouble than they could handle, so for years they concealed the truth. But their house of cards will not be safe for much longer. Maggie's violent father Max has always been out for the Taylors' blood and treats his own family with barely more sympathy. There is a long-buried reason for the vendetta that no one talks about, a secret so shocking it could tear each family - and Maggie and Johnny - apart... 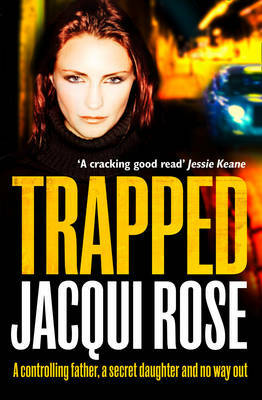 Trapped is a gritty story of bitter feuds and unbreakable bonds by Jacqui Rose and is due to be published in March 2013.